Milwaukee, Wis. This season – with the help of Dynatrap®, the award-winning line of pesticide-free and environmentally-friendly flying insect traps, and Mar Jennings, home and garden expert and best-selling author – homeowners, domestic divas, families, grill kings and poolside revelers from coast to coast will enjoy summer living because buggy party crashers will be trapped if they try to invade. Dynatrap®‘s line of mosquito prevention products is an essential ingredient for the perfect outdoor gathering. Dynatrap® traps attract mosquitoes, biting flies and other flying insects without pesticides or chemicals, and are easy to set up, low maintenance and environmentally-friendly. Dynatrap® products are versatile and can be used inside or outside, and can be hung or mounted on walls and poles. Prepare Now for Unwanted Guests: Mosquito populations start hatching when temperatures reach 45 degrees, so start early to protect your yard from these pests by setting up your Dynatrap, even if there’s a chill in the air. Consider the Time of Day: Mosquitoes are most active at dusk, so plan your party accordingly. Light Up the Atmosphere and Drive Bugs Away:The right lighting can create the desired atmosphere, but it can also keep bugs away. Use yellow bulbs instead of white – bugs aren’t attracted to them and they provide a romantic glow. Decorate with Pale Palettes:Lighter is better when it comes to selecting upholstery for outdoor pieces such as seat cushions, tablecloths and pillows, as mosquitoes are less attracted to light colors. Beautify Your Yard: Tidying up the yard before a party will not only impress your guests, but cutting the grass, planting marigolds or a citronella bush and draining sources of stagnant water will also decrease the likelihood of bugs. Match Your Trap to Your D̩cor:Dynatrap products are available in bronze (exclusively at Frontgate) and black (available at other major retailers or by visiting www.dynatrap.com). Feed Your Guests Without Making Them the Meal:Avoid buffet-style dining and keep bugs at bay – impress your guests with small, bite sized plates that can be eaten quickly. 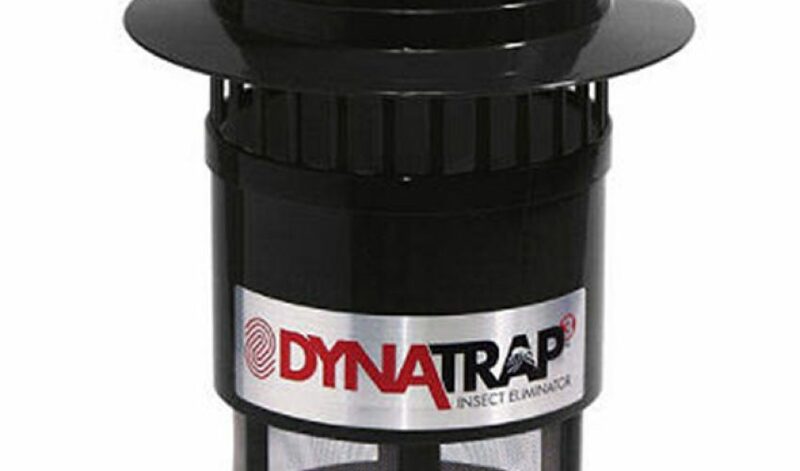 Launched in 2006, the Dynatrap® brand introduced consumers to their original insect trap, the DT1000, designed to provide an alternative to expensive propane traps. Dynamic Solutions Worldwide, LLC acquired Dynatrap® in 2010 and looked to expand on the brands success. By 2012, Dynamic Solutions Worldwide, LLC has more than doubled the Dynatrap® line, including more versatile models available for indoor and outdoor use, wall-mountable and standing traps, as well as developing new products such as the Dynazap®, an extendable racket zapper with an articulating head that can reach over three feet. Dynamic Solutions Worldwide, LLC Dynatrap® brand continues to introduce new and innovative ways to keep your yard and home insect free. Stay up to date on all that Dynamic Solutions Worldwide, LLC has to offer at www.Dyntrap.com.